On Friday, 15th June, the Bishop, Paul Colton, cut the ribbon, unveiled the plaque and officially opened South Abbey National School – Youghal’s Church of Ireland Primary School – in its new building on Golf Links Road. The building was once the Christian Brothers’ Secondary School. 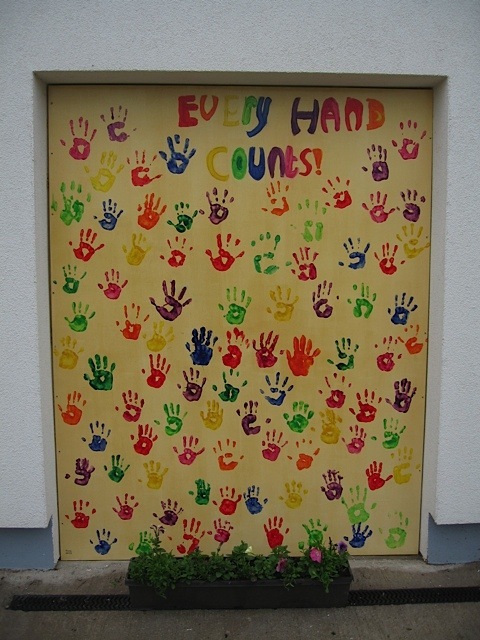 Following extensive development and refurbishment it has started a new phase as a growing, vibrant Church of Ireland school with pupils from 24 different countries. 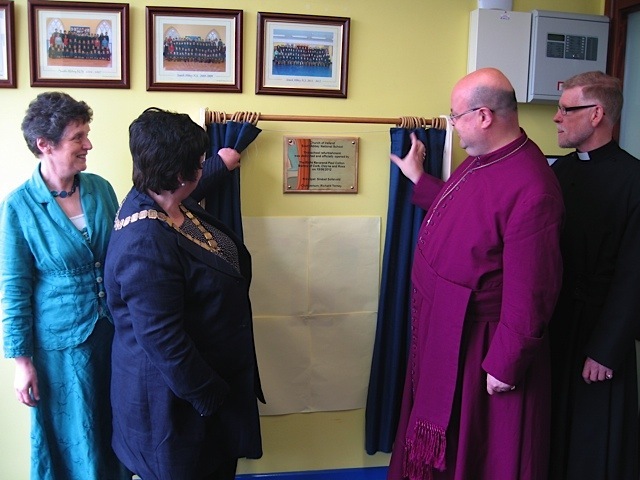 Unveiling the Plaque at South Abbey National School – from left: School Principal Sinéad Solleveld, Anne Fay (INTO President), the Bishop, and Canon Patrick Hewitt, Rector of Youghal. Bishop Colton’s remark that the school affirmed the importance of small schools such as South Abbey for the vitality of rural Ireland was greeted with loud applause. He said that the school also showed that a school under religious patronage – in this instance his as Church of Ireland Bishop – can be truly places of welcome, inclusion and tolerance in the experience of people of many nationalities and from diverse religious backgrounds. ‘Yours is a model Church of Ireland school’, he said. South Abbey National School was originally built on the site of an early 13thC Franciscan Monastery in the town of Youghal , Co. Cork. From 1886 until 2011 it remained there until the school outgrew the old building. The school has grown from an enrolment of 9 pupils in 1998 to an expected enrolment of about 90 for next September. This entry was posted in Bishop, Diocese, Schools in the Diocese. Bookmark the permalink.